I thought I had already shown you progress on Ocean 9. How wrong could I be? My memory is not as good as it was, obviously! It’s coming along nicely. About a month’s more work I think. Only able to work on it about an hour a day for a while. I’m considering a C2C Crochetalong in a couple of months. Anyone interested? Today I’m planning on returning to my main project. It’s been hanging fire for a while as I wanted to keep it under wraps while I was away from home with its intended recipient. Returning to an Ocean theme is appropriate as I have just spent four days on the water. Blue seas and blue skies – and we weren’t that far from home! 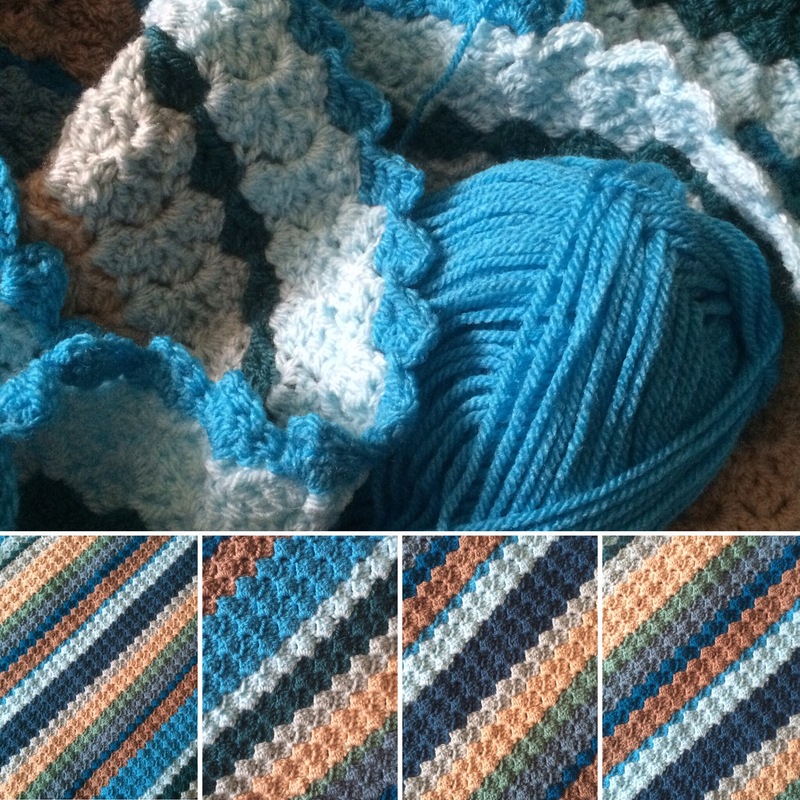 I managed a little crochet – but have to admit that it was only three rows on the red herring. They have both reached approximately the same stage, now the pink and cream will have to wait. Look – I’m all set up and ready to rumble! Author nuvofeltPosted on May 24, 2016 Categories Blanket, Colour, crochet, Out and About, This and ThatTags 2016, blanket, c2c, corner to corner, crochet, May, Ocean 9, Stylecraft, wip, work in progressLeave a comment on Back on dry land!